More well known as ‘cream puffs’ the St. Joseph’s Day pastries were created by Italian pastry chefs to commemorate the day, March 16 named for the beloved patron saint of home and family. Traditionally the pastries are served plain but can also be topped with a rich, liqueur flavored chocolate sauce. Regional favorites also include desserts that can be unique to each area within Italy. 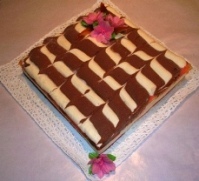 From Sienna, in the Tuscan region comes the famous nut cake – Sienna cake. 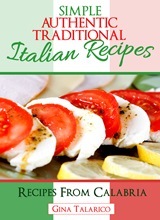 This local favorite is so popular in Europe that it is exported from its native Italy to many countries. Served in small slices it is a perfect complement to after-dinner coffee. Biscotti is another treat that takes on many regional flavors. In Italian, biscotti means, “twice cooked” and is also the generic term for cookies. The dough is formed in to logs and baked until golden, the logs are then sliced and the individual slices are baked again to achieve the dry, crunchy character that is great for dipping in coffee. The traditional flavors for biscotti are anise, almond or dried fruit. Today various sweet additions to this basic treat have developed an unending number of new favorites. In warm seasons the most sought after Italian treat is the ancient frozen dessert gelato. Often compared to ice cream, this version has less fat than the dairy based treat but is higher in sugar. Gelato is typically flavored with fresh fruit purees, cocoa and/or nut pastes, other ingredients like chocolate flakes, nuts, small confections and cookies are added after the gelato is frozen. Gelato made with fine sugar, water, fresh berry juice and egg whites but without any dairy ingredients is an Italian favorite similar to sorbet and just as satisfying to the palette.